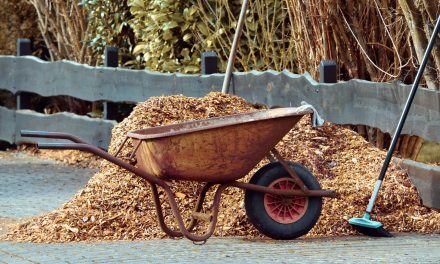 Playing in the yard, working in the garden and dining on the patio are all wonderful ways to spend our time. Nothing ruins these activities like the sting of mosquitoes and other pesky insects. One of the ways to help keep pesky, and dangerous, insects away from us is to use plants that naturally repel them. 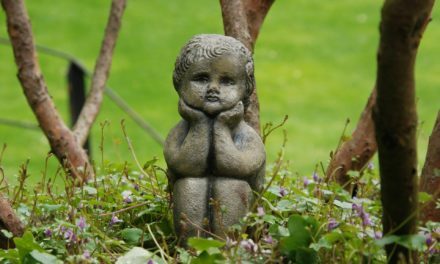 Here is a list of 10 garden plants that you can use in your gardens, planters and flower pots to help keep you and your family safe. As an added benefit, most of them are herbs that you can also use in cooking! A bright, hardy annual plant, marigolds are a great choice for repelling mosquitoes. Marigolds contain Pyrethrum, an ingredient found in many insect repellents, and they have a unique aroma which bugs find repulsive. The flowers themselves are beautiful and can make a great border or addition to any flower bed! Try placing them around borders of your home, and mosquitoes might not want to cross over! Your feline friends will be happy to know that catnip is a great mosquito deterrent! In fact, in a 2010 study, researchers found that catnip is 10 times more effective than DEET, the ingredient commonly found in bug repellents. It is a very easy plant to grow, and if you have cats in the house, they will surely be happy to have it around. However, be careful not to plant catnip in with other flowers, veggies, or herbs if you have cats around your garden. They will surely roll around in the catnip and smash everything nearby! 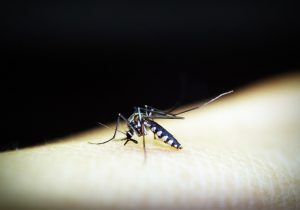 Chances are, you’ve heard of this one before- it’s one of the most common ingredients in most mosquito repellents. Strange enough though, many people don’t even know that citronella is actually a plant! 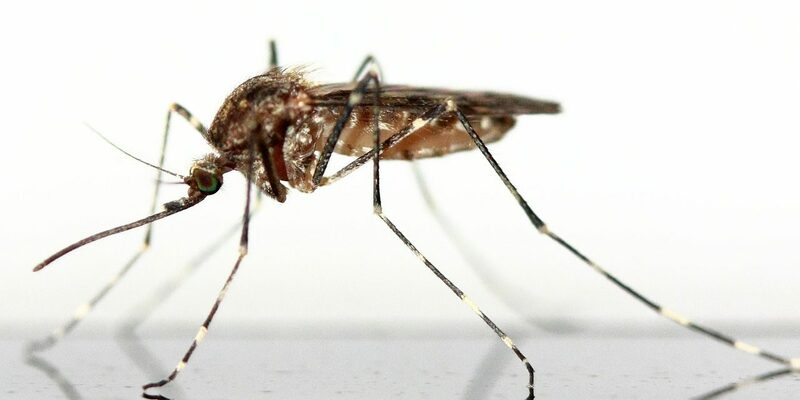 That aroma masks other scents, and keeps mosquitoes from being attracted to things located around it. The citronella plant has a much stronger aroma than other mosquito repellents that contain citronella, so it is a great choice. Citronella is very easy to grow, and can get to be a very tall 5 or 6 feet high! You can grow citronella in pots and place it around a porch or patio, or you can plant it directly in a yard or garden bed. It’s a great choice for repelling mosquitoes naturally. Another great choice for a mosquito repelling plant is lemon balm. A member of the mint family, the plant also known as horsemint and beebalm is a very easy plant for beginning gardeners to grow- even if you don’t have a green thumb! Lemon Balm is a very hardy plant, it resists drought, and it grows well even in shade. 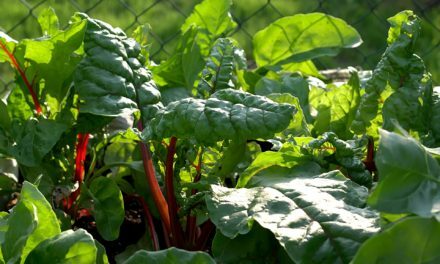 It is a very fast growing and sometimes aggressive plant, so you might want to contain it to a pot, where you can move it to wherever you like to ensure that it doesn’t take over your garden! An added bonus? You can dry the leaves and use them to make a delicious herbal tea! Calling all cooks! Want a double whammy when it comes to mosquito protection? Plant some basil! Not only will you have a quick and easy mosquito repellent, you will also have a delicious fresh herb on hand to add to all of your favorite recipes! There are many different varieties of basil around, so feel free to experiment and find the ones that you like best. Many expert gardeners recommend trying lemon basil or cinnamon basil to deter insects. Plus basil is one of the easiest herbs to keep alive – even the biggest novice can manage it! Unfortunately for all of us who love Italian food, studies have shown that EATING garlic does not repel mosquitoes. (Unless, however, you were to eat a HUGE amount!) However, having garlic around DOES! Make sure to add some garlic to your flower bed or vegetable garden for added protection! You probably know that lavender is a gorgeous purple flowering plant with a soothing, calming scent. But, did you know that it is also a natural mosquito repellent? Grow it indoors near a sunny window, or outside in your garden or flower bed to keep the bugs away. While you’re at it, make a delicious herbal tea, or use lavender to fill your home with a wonderful calming aroma. Rosemary is a beautiful flowering plant that is often used to flavor lamb or fish dishes, but did you know that it is also a natural mosquito repellent? It’s perfect to add to your herb garden or flowerbed to keep bugs away, and it even attracts butterflies! Most bugs despise the smell and taste of peppermint, so planting it around your home is a great way to keep them from dropping by uninvited! 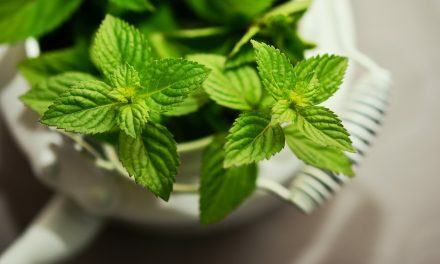 Plus, if you do happen to get bitten, peppermint leaves rubbed directly onto the skin make a great bite relief treatment! An added bonus is the wonderful minty smell that makes a delicious addition to food and beverages!